I guess a lot of people fancy a few imports for their 3DO but they fear the language barrier. So - I thought I'd go through the Import games I have and rate them on 2 critera. 1) How easy they are for none Japanese speakers to get to grips with. 1 to 5. 1 impossible. 5 Piece of cake. This may help when you're tracking down a few imports from the location Gir Draxa provided in another post! Belzerion.- Lots of Japanese but I got quite far into the game - it's almost self explantaory. Score = 3. - Probably more fun knowing precisly what is going on. Score 3. - Japanese language only counts during the intro. Score 5. - It's an FPS. If you can't play it, contact a doctor. Score 5. Taiketsu Rooms!- Minimal speaking. A bit of menu button bashing and you are there. Score 4. - Piece of cake to play. Everyone should! Score 5. Blue Chicago Blue.- Lots and lots of English, dubbed with Japanese language. Score 1. - Unplayable as it relies on Japanese text too. Score 1. Pretty Soldier Sailor Moon S.- Menus are in Japanese a bit of language but no real problem. Score 4. - Fighting game so it's easy enough to play and the manual, while in Japanese, is easy to extract the moves from. Score 4. Princess Maker 2.- menus are in Japanese. Language is Japanese. Sadly it's impossible. Score 1. - No idea what's going on. Score 1. Short Warp.- Half English - Half Japanese menus. Some of the games require the ability to read the Japanese numbering system - but not all. Score 4. - It's easy enough to figure out what's going on, eventually. Score 4. Sword & Sorcery. (Luciennes Quest)- All Japanese language and menus. Score 1. - You maybe able to play it to a degree without understanding what's going on - but it wouldn't be much fun. Score 2. Policenauts.- All Japanese language - utterly impentrable. Score 1. - Progress can be made - but not easily. Score 2. F1 GP.- Predominately in English. including car customizations. Some of the sub menus are in Japanese however. Score 4. - F1 racing game - easy enough to grasp! Score 4. Pyramid Intruders. (did it get an US/UK release? )- Wall to wall English. Score 5. - Piece of cake to play. Score 5. Blue Forest Story.- menu's and story in Japanese. Almost impossible. Score 2. - It's an RPG. Without knowing what to do you can't play it. Score 1. Ghost hunter series.- Story and menu's in Japanese - however, it's suprising how far you can get not being able to read or speak the language. Score 3. Last edited by 3DOKid on Sun Mar 11, 2007 11:50 pm, edited 1 time in total. Ooh, very good info for a thread. It's just too bad the import game I want to play the most is Policenauts. Mobius wrote: Ooh, very good info for a thread. It's just too bad the import game I want to play the most is Policenauts. The PSX version is to be translated! And then all the other versions and finally in 2037 when all the 3DO NVRAM is truly knackered - then it will be released. Thank you 3DOKid!!! This is probably the best Sticky on the forum yet Please keep 'em coming. 3DO Kid, if you have a space to put them, I can provide you with the covers library from the Collective. Pretty extensive. Gir - I'm not the guy with the space. Devin is your man. I think covers would help, with the English translation. People would know what they are after. It would be great! When I volunteered to do more tonight btw, I forgot I would be in France. so, err, so, umm, more import goodness on Thursday. Miss Yamamura suspense Kyoto murder case. Lots of spoken and written japanese. Score = 1. About as far from import friendly as a game can get. Score = 1. All the menus are in Japanese, as is the manual. Can be a little confusing. Score 4. All Spoken and Written Japanese. Score 1. It's not a game. Or at least I don't think it is. Score 1. Nice animation. Great graphics. Lots of fun. If you speak and read Japanese only. Score 1. It's a stats game. The stats are in Kanji. Go figure. Score 1. Horse racing stats game. made for the Japanese market. Score 1. You can't play this if you don't read the lingo. Score 1. All in Japanese as I recall. Score 2. Easy enought to play by using trial and error. Score 4. All japanese language. Score 1. Some sucess is possible - although the naggig doubt that you haven't played the entire game remains. Score 3.
all Japanese language. Requires a japanese 3DO player too. Score 1.
impossible to play. Score 1. Another horse racing stats based game. Score 1. Impossible to play even with guessing. Score 1. I don't have too many imports, but I highly reccommend 'Ultraman'. 'Sailor Moon' is also a decent import fighter as I recall, although my copy seems to be hiding on me. 'Virtual Stadium Baseball' is also pretty good, and although it is playable, I don't reccommend "Insector War' Oh, and last but not least 'Doctor Hauzer' is a must have! P.S. We need your import expertise 3DO Kid! Thanks to '3DO Experience' I now own a copy of Pyramid Intruder, a Novastorm like shooter (in full english) that is good fun! Last edited by Trev on Sat Jun 07, 2008 9:46 pm, edited 1 time in total. This sticky hasn't been touched in ages, but that means I've been able to grab a # of imports in all these past months. Mentioned Ultraman & Sailor moon in the last post. Yu Yu hashuko is another import 3DO fighter. My least favorite of the 3, but it is playable and is okay. Autobahn Tokio & F1 Gp are 2 import racers. Autobahn is good. F1 gp is not. Battle Pinball (I forget what exactly it is called) is a game that I thought i'd like more than I have. Easy to play, but kinda dull. Nice Body is worthless, especially on an NTSC machine. I'll add more games as I acquire them ... or as I find ones I already own but have forgotten about. What is The Little House - and why is it not on 3DOKids blog? I like the cover ot this "game" (?). I don't own that title, but I am trying to keep this thread active by posting brief thoughts on imports I own and have played enough of. I still have quite a few to go, as well a new batch that should be arriving in the next few weeks. I think 3DOKid owns a # of games that aren't listed on his blog. Maybe he'll take requests for his next reviews? Still no clue ... a kid version of Dr. Hauzer maybe? You know with puppies and gumdrops instead of deathtraps? And so it goes and so it goes and no one knows. I have this. It's not really a game it's a floor planner for the 3DO so you can design a house as far as I can tell. It's all in Japanese and not very interesting. But here's the title screen for you. Anything like the Life Stage? Btw, nice to see this thread get a bump ... I'm gonna start posting here again soon. Not as far as I can tell. You do get some shots of the outside and such but it's very text heavy and I can't seem to do much not knowing what it all says. sounds very interesting. It think it's the cutest 3DO game cover I've ever seen. It is so outstanding! Just a house! A old little house! No spaceship-vs-ultradragon-mystery-woman. It won't leave my mind! Is it possible to plan your house without being able to read japanese? 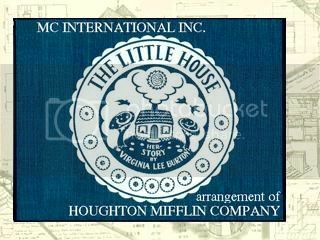 I mean, it reads "LITTLE house". But thanks again. Maybe, sometime, in human history, we're going to see a youtube clip of it (in the year 7000). Thank you 3DO Kid for this, I was looking for a resource like this. Master of the game - (correct translation?) Collection of Japanese board games from Sanyo. Othello was the only one I knew. Murphy's Law (Murphy's TV) - Full English dialogue option available. But is it a game? Seems strictly informational to me ... at least so far. Neo Organic Bioform - Verdict is still out on this tough, but unique game. I'll keep plugging away at it and update as warranted. Takeru - Digital comic book is non-interactive. Interesting artwork. Arrgghh! They are all so close! Please help us Mrs. 3DOKid! Master of the game must be the correct translation. I'll wait for Mrs.3DOKid's translation.